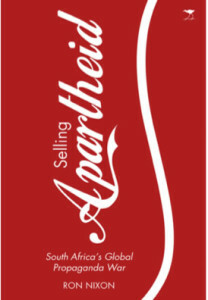 This is book tells the story of the South African propaganda campaign, run with military precision, which involved a worldwide network of supporters, including global corporations with business operations in South Africa, conservative religious organisations and an unlikely coalition of liberal US black clergy and anti-communist black conservatives aligned with right-wing Cold War politicians. thought as far as Africa is concerned.” Not even the exposure of the programme by South African journalists in the late 1970s, which would bring down a president and send Rhoodie on the run, would stop the worldwide campaign. In fact, it would expand and morph into a much larger and subtler operation. It would end in the early 1990s, only after domestic problems caused the government to focus its energies on issues at home.